The Congress of the Federated States of Micronesia (FSM) passed legislation in early February to create a shark sanctuary in the country’s full exclusive economic zone (EEZ), which covers nearly 3 million square kilometers (1.1 million square miles) in the western Pacific Ocean. President Manny Mori signed the legislation, now Public Law No. 18-108, on February 27, 2015. Countries around the world have been working together on an unprecedented scale to prepare for new landmark shark protections that went into effect Sunday, September 14, 2014. Excitement about the potential impact of the new rules was building around the globe among those concerned about the future of these predators so vital to a healthy ocean food web.Under these new rules, international trade in sharks that are commercially exploited in large numbers are regulated for the first time.Learn more about the efforts that countries worldwide have undertaken to prepare for the deadline through an inspiring video and Web features that tell the story of the implementation of the new protections.For more resources on shark preservation from Pew visit Global Shark Conservation. “The completion of the Micronesia Regional Shark Sanctuary is truly a landmark action because it joins together a massive swath of the western Pacific as a trans-boundary sanctuary for all the sharks that migrate across this huge ocean region.” Angelo Villagomez, a shark expert with Pew. "The completion of the Micronesia Regional Shark Sanctuary is truly a landmark action because it joins together a massive swath of the western Pacific as a trans-boundary sanctuary for all the sharks that migrate across this huge ocean region," said Villagomez. "We look forward to working with our partners in the FSM to make certain that the implementing regulations ensure strong protections for sharks." This news is from PewTrusts 2 March 2015. It was published on the Horizon International Solutions Site at www.solutions-site.org on 7 March 2015. 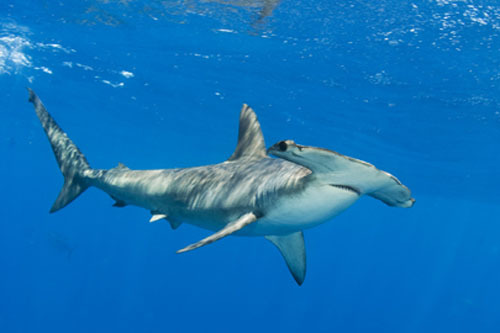 For more resources on shark preservation from Pew visit Global Shark Conservation.